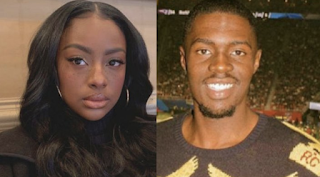 Back in February R&B singer Justine Skye filed a police report against her ex, model / rapper Sheck Wes after accusing him of attacking her and group of friends in public [click here if you missed that]. According to reports no charges will be filed against Wes because there is not enough evidence that the event took place. Justine has not reacted publicly to the ruling. I hope he looks around to see if any Kardashians are circling. They seem to congregate are dead, black, meat. He looks like he may still have some life and money in him so who knows.